Setting up a 1300 number is a piece of cake. How to set up 1300 numbers. Setting up a new 1300 number or transferring an existing one is so simple with 1300 Numbers Australia. Our mission is to take out the hassle, so there is no disruption to your business. Did you know that setting up a 1300 number does not require any special software or equipment? Once you have selected your 1300 number and your monthly call plan, we will help you configure your routing options and you could be up and running in less than 24 hours! The only thing you need is a landline or mobile number to answer your incoming business calls. Select the 1300 of your choice from our available numbers list. Select your preferred monthly call plan based on call rates and features. Customise your 1300 number with routing options. Add extra features to boost the benefits of your 1300 number. Can I set up a 1300 number if I don’t have a business? 1300 numbers are business inbound numbers designed to help your business manage your incoming call flows. 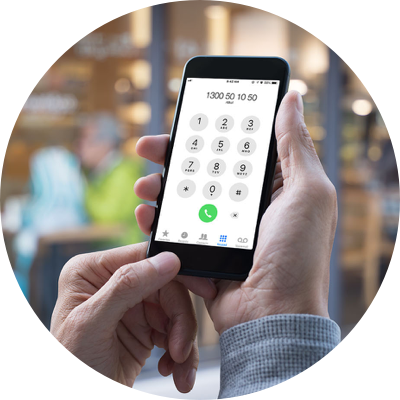 A 1300 number can give you great flexibility and allow you to operate your business anytime and anywhere - because a 1300 number call can be answered on your mobile. To set up a 1300 number account with us, you must have a registered Australian Business Number (ABN) or Australian Company Number (ACN). 1300 Numbers Australia is a specialist telco provider servicing and supporting Australian businesses since 2007. How long does it take to setup a 1300 number? The simplest and fastest way to get a 1300 number is to select from our list of available numbers from our website. Free 1300 numbers are also available for your selection. Do I need a landline or special equipment to operate a 1300 number? Any business can get a 1300 number. No special equipment is needed to operate your number. Your existing mobile phone or landline can be used to answer calls to your 1300 number. Once you have selected or purchased your 1300 number, you can choose from a range of additional services that may enhance the use of your 1300 number. Feature enhancements like adopting an IVR menu at the beginning of a call can help with call flow management. A voice to email or fax to email service can be a great virtual office tool, plus a live answering service can capture important messages and forward them onto you so you never miss a sales opportunity.